Justin Bieber gets a prom invite. Mila, JT and Betty might be the hottest dates for the Marine Corps Ball, but Justin Bieber is king when it comes to prom dream dates. Cheri Eimer, a 17-year-old high school junior from Poquoson, VA., is hoping to land the Canadian singing sensation as her date to her upcoming prom. The teen and friend Holly hit YouTube pleading with Biebs to go to prom in the form of a rap. "I'm a fly looking lady," Cheri raps, while sporting Kanye West-esque shades. "I like you for you, so your mom would approve." After their lyrical free styling, Cheri and Holly continue to plead with the singer. "Why don't you go to prom with somebody who's not going to be drooling over you all night long, and I'll treat you like a normal person," she continues as Justin's "Never Say Never" plays in the background. Adding, "It will be really fun, cuz I'm awesome." Curiously, the girls do not mention Justin's girlfriend Selena Gomez once. Justin has not yet responded to the invite. Check out Cheri's prom plea, HERE! 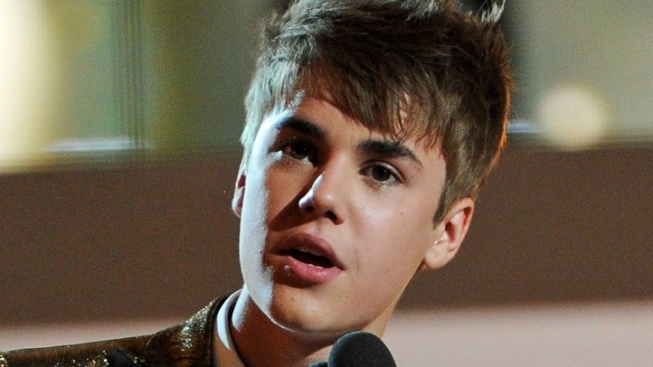 PLAY IT NOW: 2011 ESPY Awards: Does Justin Bieber Get Star Struck?